EasyPIC™ v7 for dsPIC30® is our seventh generation dsPIC® development board. It’s loaded with modules you will need in development of your DSP applications. On-board programmer and debugger, CAN support, temperature sensors, display connectors and six I/O groups are just part of the modules on this board. It is delivered with dsPIC30F4013 device. 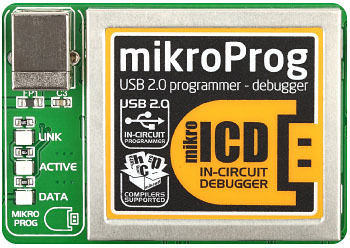 ICD2 connector enables users to work with other programmers while developing. 4 digit 7 segment display is now a part of EasyPIC v7 for dsPIC30. Two mikroBUS connectors enable you to use many additional Click boards.